The Centers for Medicare and Medicaid Services (CMS) continually adjusts, changes and creates new Medicare rules and requirements that regulate reimbursement (the Medicare Physician Fee Schedule). As a physician, you must keep up-to-date on on these rules to get paid for care delivered to your Medicare patients. However, this can be an arduous task due to the sheer number of changes that CMS makes in any given year. In this blog, we explore three recent Medicare Rule changes of which every physician should be aware. These changes increase exposure on performance rankings, ease restrictions on hip and cardiac bundled payments, and increase payment categories for rural health clinics. Did you know physician performance is now available to the public? #412: Signed opioid treatment agreements for patients who are prescribed opioids. Physicians can sign in to the provider quality portal to review their profile and rankings. Unfortunately, the window in which physicians can comment on or edit their rankings has passed. Did you know there are new rules for hip and cardiac bundles? Another new CMS rule for 2018 may please some providers, especially those practicing in rural areas. As of January 1, 2018, CMS canceled mandatory bundled payments for hip fractures and cardiac care. CMS says it made the change to “offer greater flexibility and choice for hospitals” that care for Medicare patients. The changes affect the regulations within the CMS Comprehensive Care for Joint Replacement (CJR) model. CMS also shrunk the number of geographic areas that have to participate in CJR from 67 to 34 areas. In a nod to rural physicians and hospitals, CMS made participation in CJR voluntary instead of mandatory for providers in those 34 geographic areas. Did you know there are changes to the value modifier? The Value Modifier isn’t new. 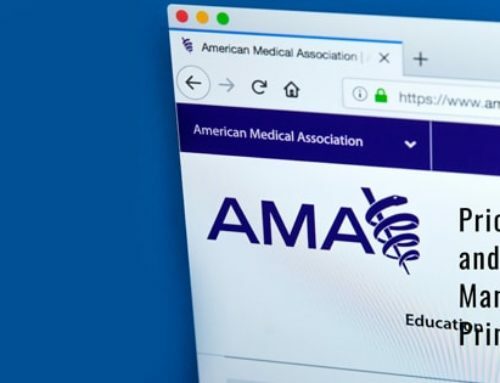 It has been rolled out in phases gradually since 2015 and determines physician Medicare payments based on quality and cost performance measures. New CMS rules as part of phase 4 of the rollout became effective on January 1, 2018, and expand the types of providers that will receive reimbursement under the program. Now physician assistants, nurse practitioners, clinical nurse specialists, and certified registered nurse anesthetists, “who are solo practitioners or in groups of 2 or more eligible professionals” will receive reimbursement based on their 2016 performance. Did you know there is added reimbursement for rural clinics? Staying apprised of CMS changes is never easy, but it is essential. These new Medicare rules discussed above directly affect practice and hospital reimbursement. Complying with performance and quality criteria this year will affect your reimbursements two years down the road. As we’ve seen here, the good news is that CMS seems to be listening to physician groups who say the regulations are too onerous, and they are loosening up the reins a bit.